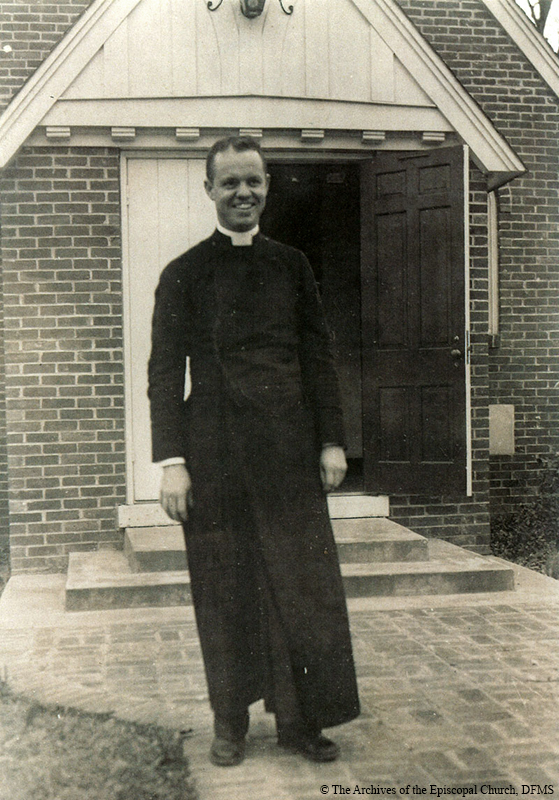 Allin as Vicar in front of Old St. Peter's Church, Conway, mid-1940s. Allin also served mission congregations in Eureka Springs, Harrison and Russellville. “Allin At St. Peter's Conway,” Venture In Ministry: John Maury Allin, accessed April 19, 2019, https://www.episcopalarchives.org/jma-presiding-bishop/items/show/83.